North America is much less popular among tourists than Europe and Asia. Some travelers are stopped by a long flight across the ocean, and others are confused by high prices. In addition, thanks to Hollywood, many people think that the United States is presented only with huge cities full of skyscrapers or small, calm, and boring towns with the same type of two-story houses. However, the USA has something to boast of in terms of natural sights, many of which are capable of striking to the depths of the soul. Of course, it’s impossible to cover all of them at once, so we will list there only the most interesting and popular places. They are located in the neighboring states – Arizona, Utah, California, Nevada, and are selected in such a way that you can rent a car at rentalcars24h and visit them for just one trip. The Grand Canyon is undoubtedly the most famous natural landmark and the greatest pride of America. It’s inferior to some other canyons in its beauty, but certainly wins in terms of size and grandeur – just imagine – its length is almost 450 kilometers, its width reaches 30 kilometers, and its depth is more than 2 kilometers! 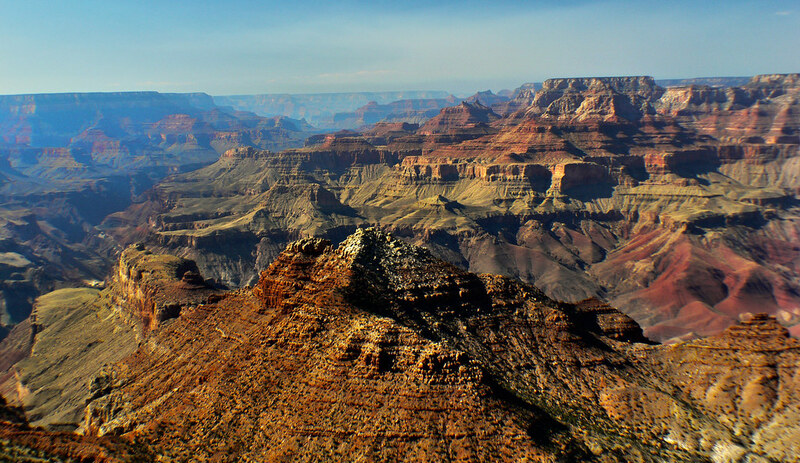 In order to see the Grand Canyon in all its glory, you can go on a tour by helicopter and fly above it or look at it from one of the viewing platforms, while the canyon looks completely different from different sides. If the view from the top is not enough, you can go down to the bottom of the canyon. The easiest and fastest way is to pay for a helicopter tour, but the sportiest one is a pedestrian trekking. This walk takes more than 10 hours and, as a rule, includes an overnight stay in the canyon, because it’s almost impossible to complete this trip in one day, especially in summer. The intermediate option between the helicopter and the pedestrian trekking is a horse riding – this way of getting to the bottom of the Grand Canyon is also popular. 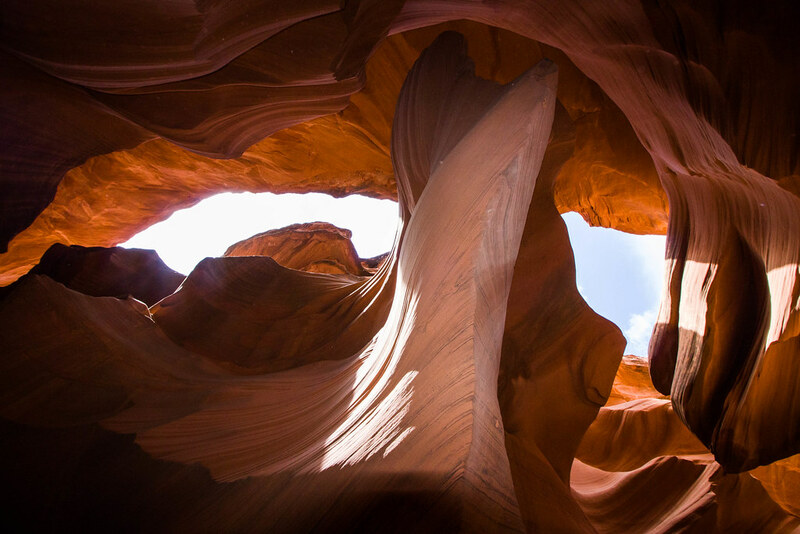 Against the backdrop of the giant Grand Canyon, the Antelope Canyon looks like a kid, but this fact doesn’t prevent it from being fantastic and incredibly beautiful! This is one of the most unusual and fascinating canyons in America – it’s not visible from the side, because it’s located in a crevice, and the entrance looks like a narrow ground crack, which you can easily pass by without noticing. But as soon as you do down, your heart literally stops with delight! Nature has worked on this creation for thousands of years, and as a result, a truly masterpiece has appeared. It’s very difficult to describe it with words and even photos don’t always convey the amazing beauty. This is the place that you must see with your own eyes. It’s better to descend into the canyon at certain hours, when the sun’s rays fall through a crevice at a particular angle and illuminate the canyon from the inside. Death Valley is another iconic place to which many legends are devoted and which attracts the attention of travelers. But this place got its unusual name not because of high mortality, as it might seem, but because of poor vegetation and poor animal world – in Death Valley there are practically no inhabitants and almost nothing grows there. However, according to one of the legends, the valley got its gloomy name because of the death of one of the members of the group of gold miners who tried to overcome the desert, so everyone can choose the story of the appearance of the name according to their taste. The territory of Death Valley is very large, so that you can look around all the interesting places thoughtfully, without haste and fuss. You should not think that there’s nothing to see in such a mystical place – the variety of the local natural attractions is impressive! The salt lake and sand dunes, moving stones and the ghost town of Rhyolite, the artist’s palette and the Devil’s golf course, as well as a desert, a volcano, breathtaking landscapes and dozens of kilometers of scenic roads! 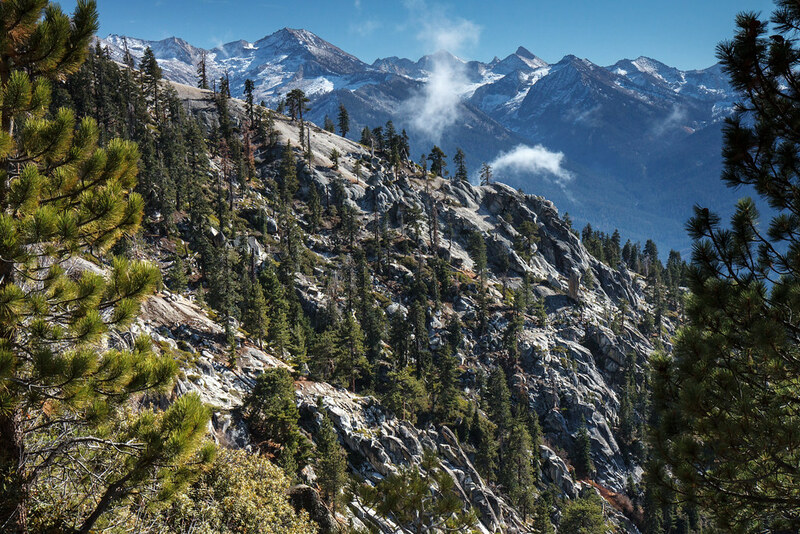 As the name suggests, Sequoia National Park has gained popularity due to the giant redwoods – the 5 largest trees in the world grow there! The largest of them is General Sherman tree. It’s so huge that it would take about 14 people to clasp it at the base. In order to make it even easier to estimate the size of the tree, imagine that it would take three lanes if you suddenly decided to build a highway through it. In addition, if you want to estimate its height, imagine that if a tree was cut down, it wouldn’t fit on a football field. There are more curious specimens in the park – for example, a tree lying across the road, in which a car tunnel is made. Apparently, it was easier to do a tunnel than to get the tree out of the way. Also, the park features walking routes – people come there to enjoy trekking. 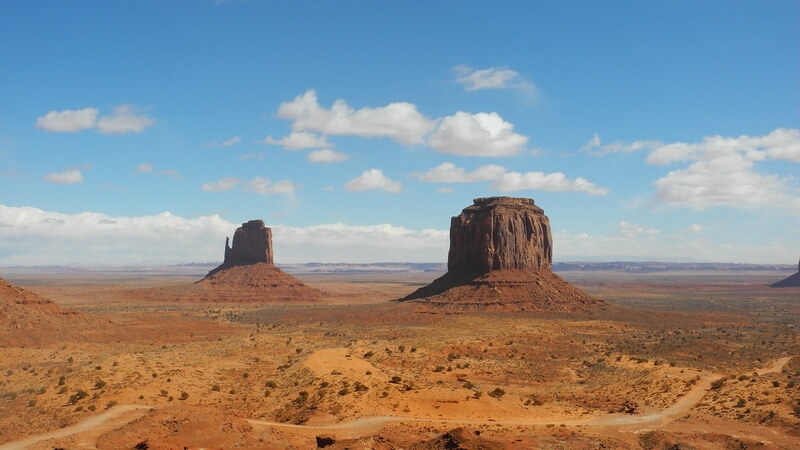 Monument Valley is located on the reservation area of ​​the Navajo Indian tribe. If this is not the most recognizable natural place of America, then one of the most popular ones for sure. The famous road disappearing in the rocks gives an excellent opportunity to have a trip through the picturesque valley behind the wheel of a car. It’s better to drive up to the Monument Valley at dawn – at this time the view will be the most impressive. But the monuments themselves look best at sunset – the sun illuminates them favorably, and dozens of people come every day to the observation deck to see this amazing beauty.